Decorate the town with the best holiday event advertising you can find when you print Paper Tree Flyers and post them in advance. Spread the word about your seasonal shindig with these sleek Flyer templates that include a unique blue-green background design and an adorable hand-crafted paper Christmas tree. 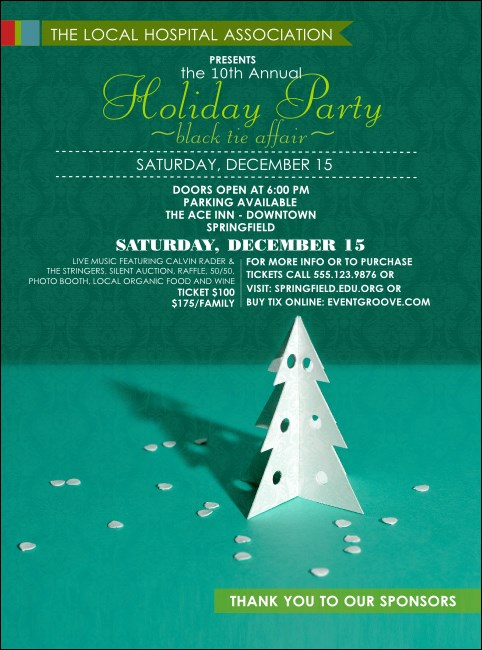 TicketPrinting.com helps you greet the holidays and your guests with great event advertising.